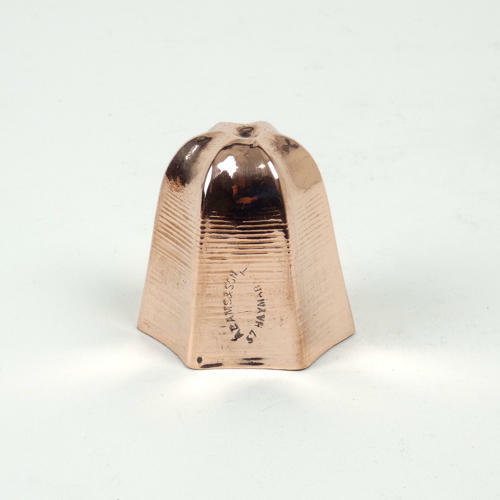 A miniature, Victorian copper, hexagonal mould dating from c.1890. This mould is marked, to the side, 'ADAMS & SON 57 HAYMARKET'. It is made from a quite a light gauge of copper and you can see the spinning lines in the copper. It is a fairly simple, hexagonal shape with a dimple in the top. It is in excellent condition but the tinning, to the interior, is worn.